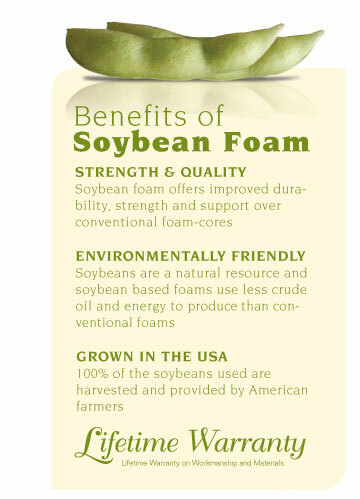 Does “soy based foam” deliver on its promise? When untreated foam is ignited, it burns extremely fast. Ignited polyurethane foam sofas can reach temperatures over 1400 degrees Fahrenheit within minutes. Making it even more deadly is the toxic gas produced by burning polyurethane foam – hydrogen cyanide gas. Hydrogen cyanide itself is so toxic that it was used by the Aum Shinrikyo terrorists who attacked Tokyo’s subway system in 1995, and in Nazi death camps during World War II. The gas was also implicated in the 2003 Rhode Island nightclub fire that killed 100 people, including Great White guitarist Ty Longley, and injured more than 200 others. Tellingly, a witness to that fire, television news cameraman Brian Butler, told interviewers that “It had to be two minutes, tops, before the whole place was black smoke.” Just one breath of superheated toxic gas can incapacitate a person, preventing escape from a burning structure. Polyfoam is so flammable (called “solid gasoline” by fire experts) – burning so hot and emitting such toxic fumes while burning – that even the National Association of State Fire Marshals (NASFM) recommends that it be placed within Class 9 (an unusual but clearly hazardous material) because they are concerned about the safety of firemen and other first responders.